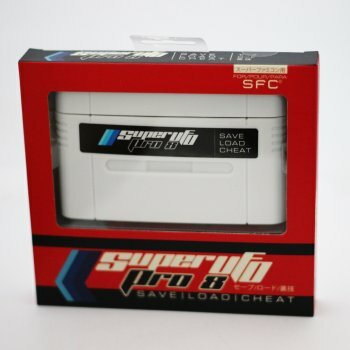 The Super UFO pro 8 is a flash cart that allows you to backup and play SNES games on a SNES or Super Famicom from an SD card. Play SNES ROMS and ROM Hacks. Save and load states on some games. SD cart supports SD, SDHC, MMC and TF. Transfer files directly from your computer with the Mini USB cable. Load cheat codes on some games. Support files in the form UFO, 078, SMC, FIG and BIN. Play ROMS from any region. A driver CD, a Mini B USB cable and a Micro SD card to SD card converter included. Note: Not every game is supported. Note: The USB port on the Super UFO pro 8 isn't very strong and will most likely break very quickly, but SD support is fine.